Chiropractic Sports Medicine & Rehab At All Injury Rehab & Chiropractic we understand that probably more than any other health profession, the Chiropractic approach to health closely relates to the needs of the sports participant. Most sports involve body contact, fast starts and stops, and positioning that places an unusual amount of strain on the back and structural system. Doctors of Chiropractic consider a person as an integrated being, giving special attention to the spine, joints, muscles, tendons, ligaments, and nerves. Chiropractic is a natural healthcare method that stresses the importance of keeping all the systems of the body functioning efficiently so the player enjoys peak performance, a minimum risk of injury, and fast recuperative response. As a matter of fact, Chiropractors have been selected as attending doctors at the Olympic Games and at National and World Championships in track and field, cycling, volleyball, powerlifting, aerobics, and triathlons. At All Injury Rehab & Chiropractic, your Doctor of Chiropractic will focus on the manipulation of those areas of the spine or surrounding joints which are slightly displaced and fail to function normally. Given by hand, the adjustment will restore proper alignment and function to the spinal joints, thereby restoring the normal nerve transmission and healing potential to the vital structures of the body. 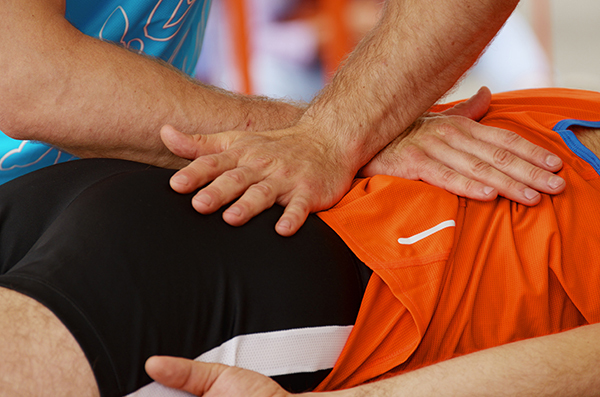 These sports-related injuries are all good reasons to seek chiropractic care at our clinics. However, Chiropractic is not only drug-free and surgery free care, but also preventative and performance enhancing care. Maintaining proper alignment will allow athletes to be prepared for their sport. Many of the greatest athletes in the world are adjusted before the competition as a “tune-up” in an effort to place their bodies in a state of peak efficiency. Following the competition, they are adjusted to enhance the recuperative process after the stress of their particular event.